United States - Buy it! 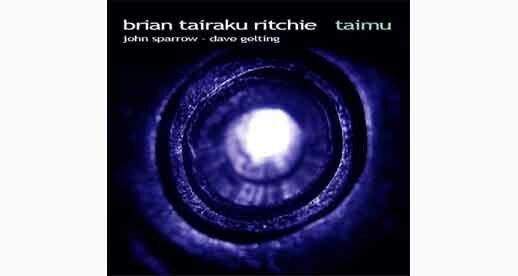 Mujitsu Taimu shakuhachi are featured exclusively on a new album "Taimu" by Brian Tairaku Ritchie and Shakuhachi Club Milwaukee. Joining SCM are hightly original percussionist John Sparrow and upright bass wiz Dave Gelting. Together, they create a cohesive blend of jazz, blues, traditional Japanese Honkyoku and improvisation. Taimu Shakuhachi are the current result of my longtime maker/player collaboration with Brian Tairaku Ritchie. The name was formed by combining Brian's professional nameTairaku with my shakuhachi making name Mujitsu. Translated, Taimu means The Big Nothing. From the beginning of this collaboration, it has been clear that there is something special about wide bore shakuhachi. The complex, expressively raw tone possible with these flutes is very different than the focused, pure tone of modern, thinner bore shakuhachi. Much of the development of Taimu Shakuhachi centers on expanding this complex tone while maintaining a musically sound instrument. This recording is an effort to introduce the many possibilities of this unique style of shakuhachi.